I love listening to my ipod. I listen to music when I go to the gym. I listen to books and my favorite podcasts while I'm out for a walk. My ipod travels with me to lots of different places and gets shoved in one bag or another depending where I'm going which often means the earbuds get tangled up. 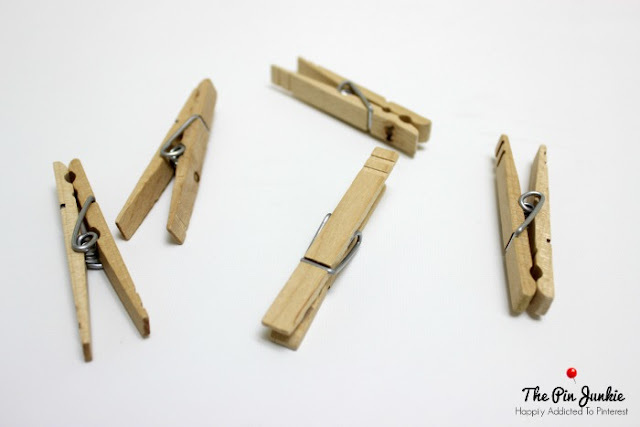 I love this simple, easy, and inexpensive solution. 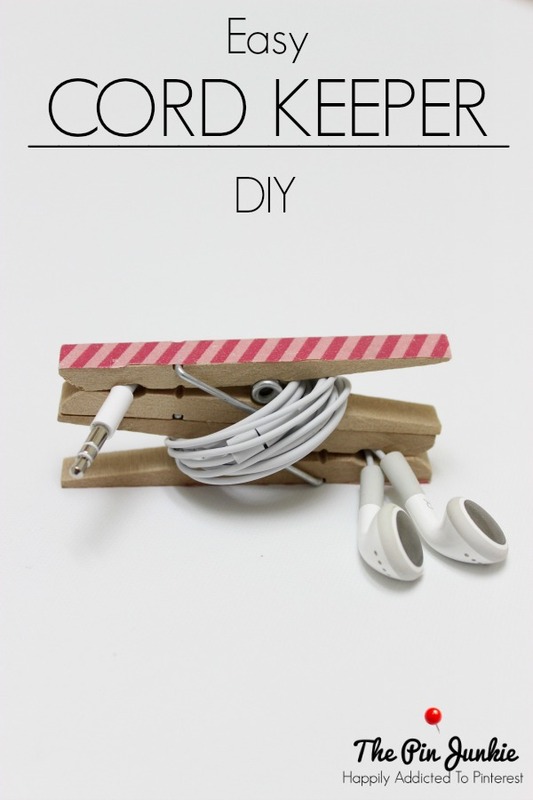 Make a cord keeper for tangle free earbuds! 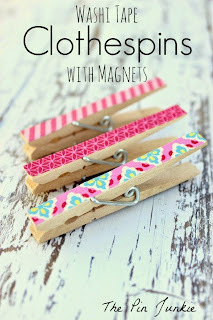 Just start with some wooden clothespins . . .
. . . and your favorite washi tape to make it pretty. 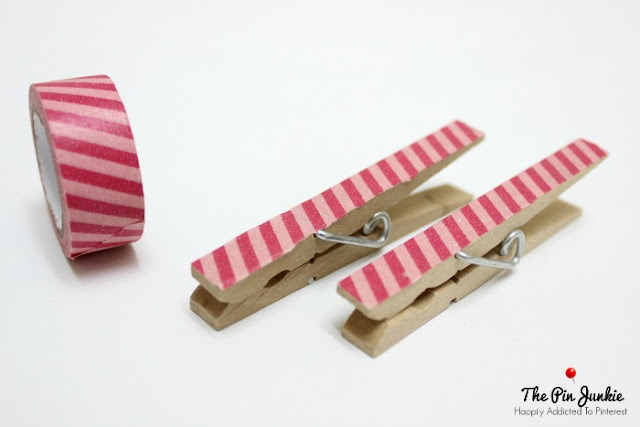 Add a piece of washi tape to one side of each clothespin. Glue the clothespins together. I used super glue. Clip the end of the earbuds in one clothespin. 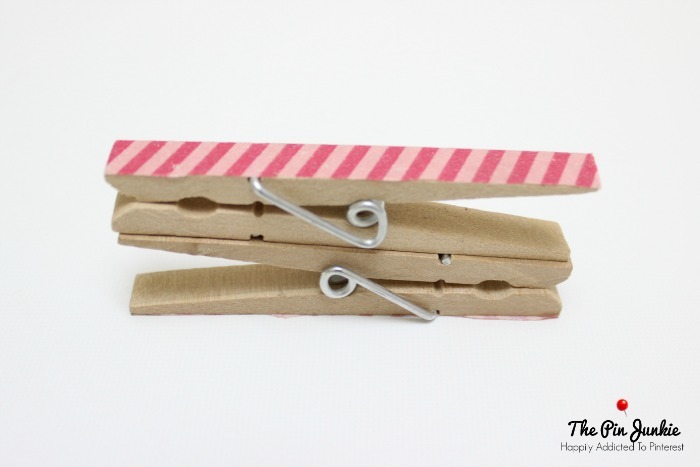 Wrap the cord around the clothespins and clip with the other clothespin. In just minutes you can enjoy tangle free earbuds! Great post and I love this idea. I have washi tape and clothespins... so this is going to be my next DIY project. Thanks for sharing, I'm visiting you from Titus 2 Tuesday LinkUP! Brilliant! And yet so simple! Found your post on the Lou Lou Girls Linky Party! Thanks for sharing this great idea! Neat idea. I hate ear bud cords they are always tangling...no more. Pinning. I could really use this! Thanks for sharing it to bloggers brags pinterest party! Pinned! 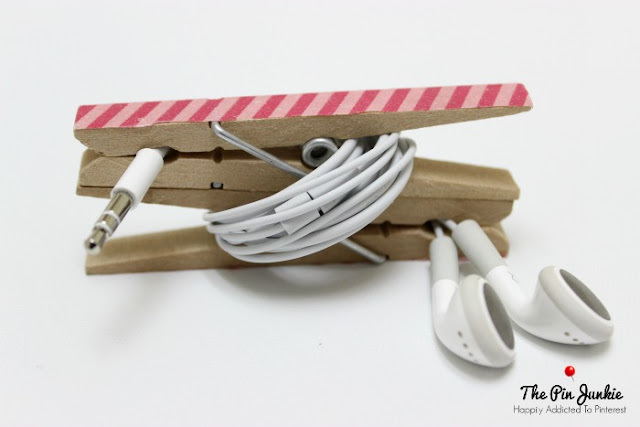 This is such a clever idea, keep those pesky cords organized, I would use this in my purse. I have pinned for sharing! Would love to have you stop by and share on my Friday Features Party this week! Those are so cute, what a great idea! This definitely is such a great idea. :) SO cute! Such a clever idea! I need to make some. Thanks for sharing with SYC. What a clever and simple solution! I definitely need to try this, my cords are always getting tangled, I have currently started putting them into small ziplocs but this is a much better idea. Thanks for sharing, I found this post the Winthrop Chronicles link party! Another great idea Bonnie! Love it. I'm featuring this one at tomorrow's Thriving on Thursday. Always happy to see your wonderful posts each week. Cute idea - mine are tossed into the basket on my bike and are always tangled…i might create one of these to clip onto my basket!! I love your cord keeper. 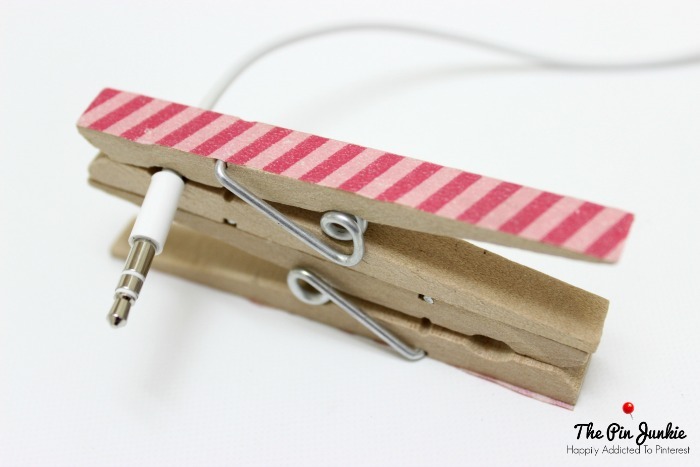 What a great idea to simplify a mess of cords. Thank you for sharing with the Clever Chicks Blog Hop! I hope you’ll join us again next week! BEST idea of the day! I just tried to clean up a bunch of cords and I gave up and shoved them back into the drawer! I am so trying this first thing tomorrow! I am loving that you shared this on MMM! Genius idea!! :-) PINNED! Love this idea... so cute! This is just genius! I just hate tangled cords! OMG! This IS awesome. My earbuds are always a tangled mess. I think I will make some of these as Stocking stuffers too. My kids have the same problem. Thanks so much. Thanks for the great idea. I made 5 of them . 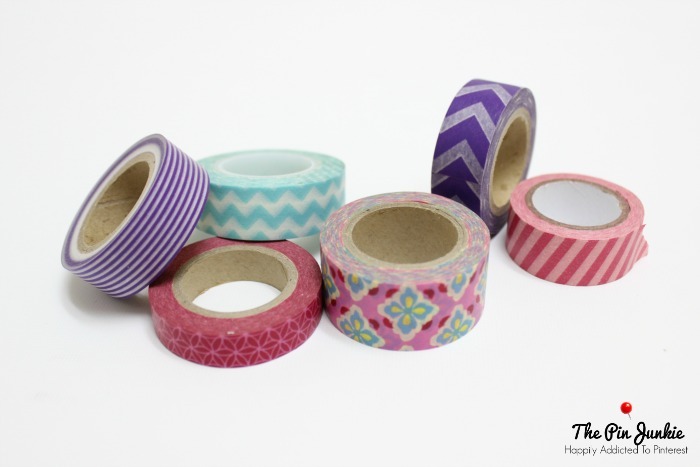 . . my washi tape started peeling up on the corners but decorative Duct tape works great! I featured this amazing idea in Making Memories Mondays!! Yeah! Loving it! I have everything on hand to make this. GENIUS!! Featuring when my party opens up tonight.